Boston Food Trucks and Lobster! | 15,000kms of Food! 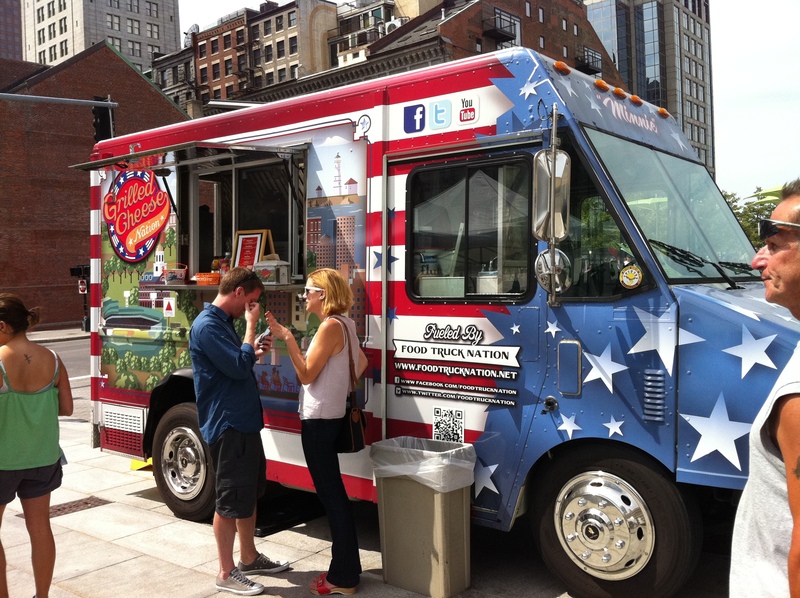 Boston Food Trucks and Lobster! In the lovely city of Boston, surrounded by historic sights and endless amounts of clam chowder, I saw my first food trucks! There they were, like a mirage in the city, serving burgers and tacos! As an afternoon snack, the food was tasty and satisfying. I was so excited to be in Boston… we went to Harvard for a day, walked the Freedom Trail, but most of all, we ate our hearts out! Clam chowder, lobster, crab cakes… the list goes on! 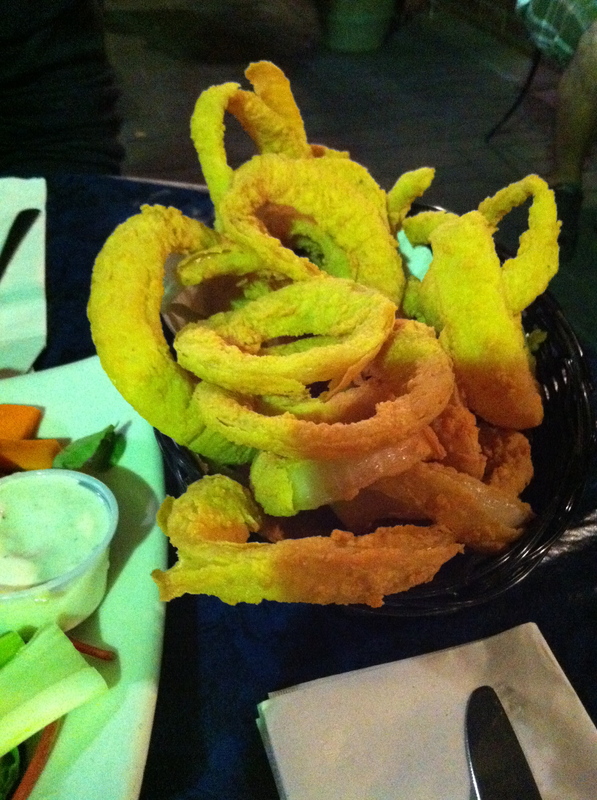 First stop for seafood action was Tia’s Restaurant which is located near the waterfront. Between the two of us, we chose to share the “Award Winning Boneless Buffalo Wings” followed by the “Baked Stuffed Lobster” with a side “Basket of Onion Rings“. 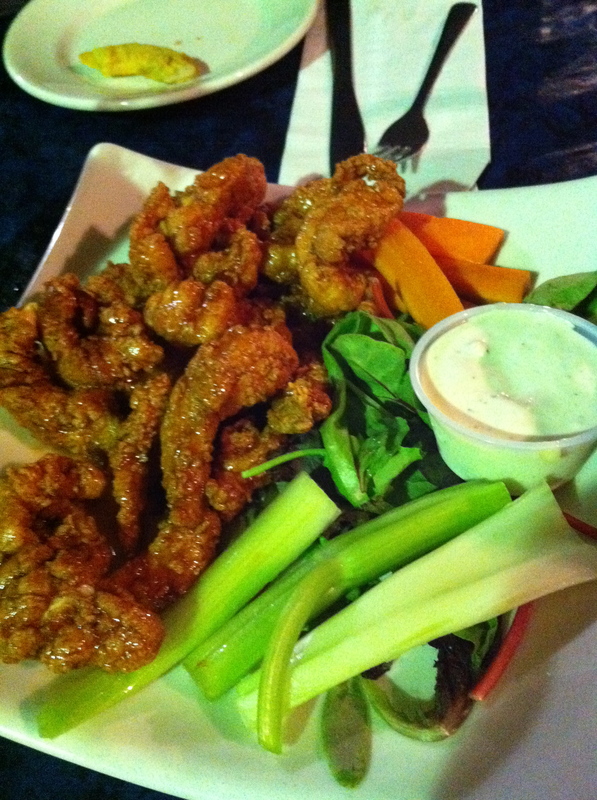 The buffalo wings and onion rings were average but the stuffed lobster was awesome! 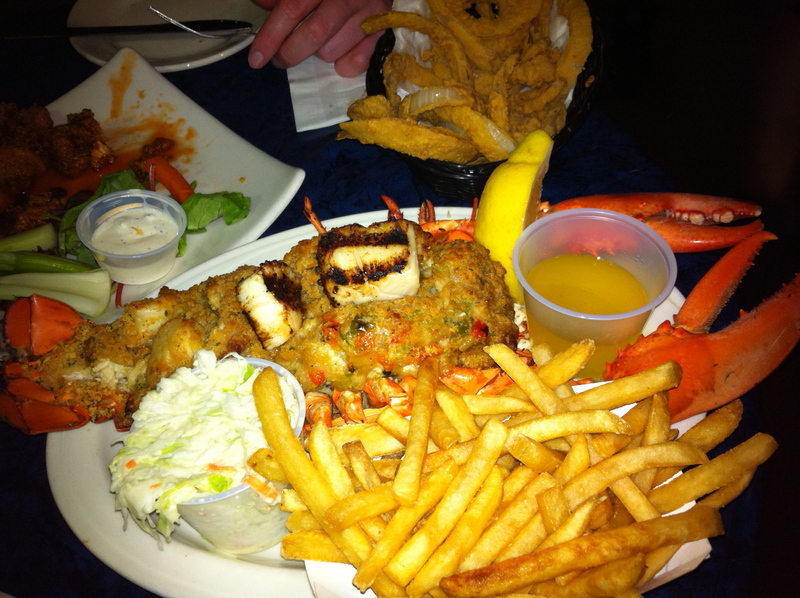 It was half a pound of lobster, stuffed with crab meat, scallops, shrimp and buttered cracker crumbs. It also comes with fries and coleslaw. It was sensational! Boston is known for clam chowder, and upon a few recommendations (including local’s in Boston) we decided to try Legal Sea Foods. There are numerous outlets in Boston, and we went to the one by the waterfront. The clam chowder (apologies, I don’t have a pic of it) was too creamy for my taste. 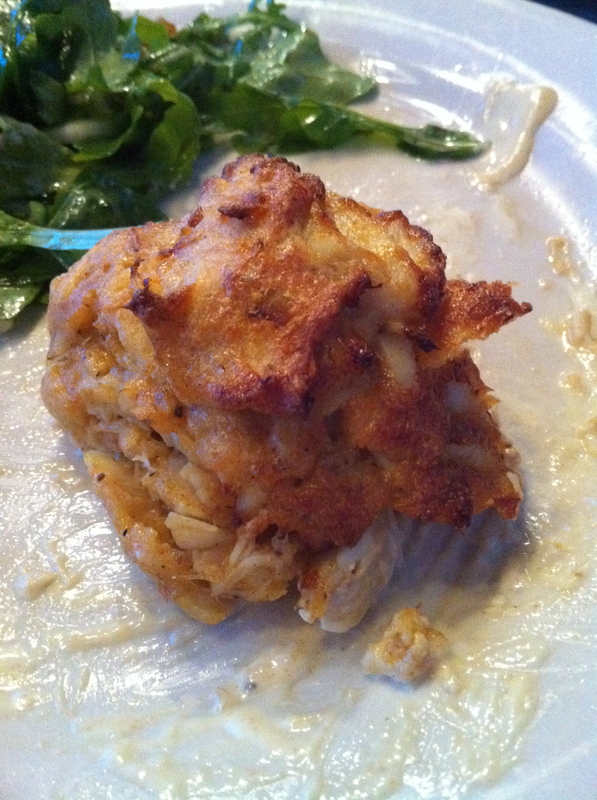 We also had the crab cakes – which were amazing! It was a whole lump of crab meat, with a creamy mustard. I can’t wait to try the food trucks when I head up to the US next month! I need to hit you up for some tips – have you been to San Fran or LA? Hello! I was in SF and LA (and NY and Vegas) in August! Check out my posts on them, most of the food info is there… my personal fav for food was Vegas! It was phenomenal! Let me know if you need help with anything!